Bodhi News & Analysis - UDAN scheme | PM Ujjwala Yojana | UPI related first fraud - 03 Apr. 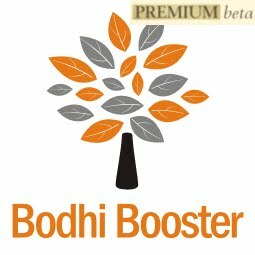 Welcome to Bodhi News for 03 April, 2017 - from Bodhi Booster knowledge portal! 1. Infrastructure – Prime Minister Modi inaugurated India’s longest tunnel – 9.2 km long Chenani-Nashri tunnel on the Jammu-Srinagar National Highway. Speaking on the occasion he said the tunnel signifies a giant leap in terms of development and progress of the people of the region, and would help promote tourism in the valley. 2. Companies, products, services – The differences on poor governance within India’s major IT company, Infosys, came to fore once again when the resolution to increase the total compensation of Chief Operating Officer U B Pravin Rao was put to vote on March 31. Most of the promoters of the company including its founder N R Narayana Murthy abstained from voting. 3. Society and culture – A US State Department report on ‘Human Rights practices in India for 2016’ criticized India over human rights violations, corruption and lack of transparency. The report said that lack of accountability for misconduct at all levels of governance persists, leading to widespread impunity. 4. World politics – To put pressure on China ahead of his talks with Chinese president Xi Jinping, President Trump said that China had a great influence on North Korea, and it should be used to help the US with North Korea which would be good for China. If China failed to solve North Korea, the US would do that on its own. 5. Indian economy – Auto traders with low margins are likely to be hit by the upcoming GST regime while used vehicles dealers may be benefited. Traders will get ‘deemed’ credit of 40% of the Central GST (CGST) liability on transition stocks, as per the rules approved by the GST Council. 6. Constitution and law – Chief Justice of India, J S Kehar, urged judges across the country to consider sitting in courts for five days during vacations and clear at least ten cases every day to reduce the pendency of cases. He was speaking at a function to mark the 150th anniversary of Allahabad High Court. 7. World economy – While the entire focus has been on the US in recent days, Singapore has blocked visas for Indian IT professionals prompting the government to put on hold the review of the Comprehensive Economic Cooperation Agreement (CECA) citing violation of the trade pact. With Indian companies being advised to hire local talent, they are looking at relocating some of their operations to other countries in the region. 8. 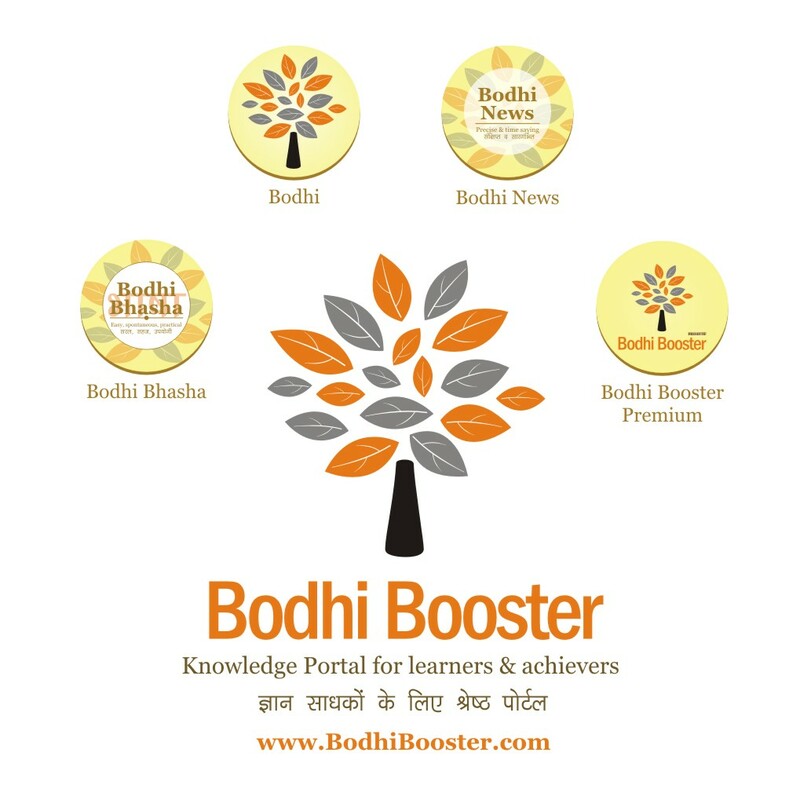 Health and medicine – According to the World Health Organization (WHO), depression is now the leading cause of ill health and disability in the world following a huge increase in the number of people living with this condition. 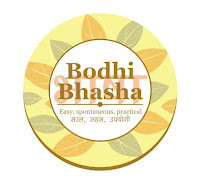 More than 30 crore people worldwide have a diagnosis of depression. 9. Indian politics – Amidst the continuing row over EVM tampering, the Election Commission of India is all set to buy the next generation Electronic Voting Machines (EVMs) that would become ‘inoperable’ immediately after attempts are made to tamper with them. The ‘M3’ type EVMS are also equipped with a self-diagnostic system for authentication of genuineness of the machines. 10. Commissions and authorities – In an attempt to get the best, brightest and most talented people to work for development of India, NITI Aayog, for the first time, opens its doors to private sector experts. This policy of NITI Aayog will ensure that officers have to compete for jobs with applicants from private sector. 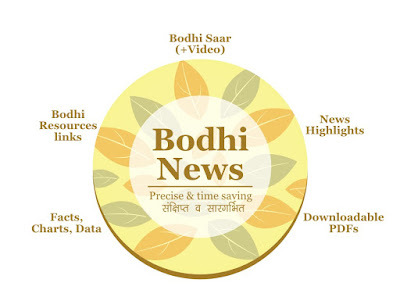 Bodhi News: Bodhi News & Analysis - UDAN scheme | PM Ujjwala Yojana | UPI related first fraud - 03 Apr.